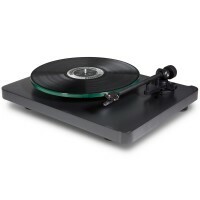 The music hall mmf-1.3 turntable sets a new benchmark for affordable audiophile turntables. With a built-in phono preamplifier and a quality, pre-mounted cartridge, the mmf-1.3 is everything you need to start listening to vinyl right out of the box! The stunning mmf-1.5, with its superior s-shaped alloy tonearm, music hall melody cartridge, 3-speed belt drive design & built-in phono pre-amp, is a beautifully refined piece. From the first music note to the final fade-out, the mmf-1.5 sets your world to groove & your feet to dance.